CINCINNATI -- When John and Whitney Bowen decided to return to Cincinnati from Indianapolis, they looked closely at buying a house in Cincinnati’s Pleasant Ridge neighborhood where they had lived for part of their 20s. But after receiving assurances from east-side friends that they’d still return their calls, they chose Westwood. "We were just shocked to see how much more house you could get on the west side," he said. Neighborhoods throughout Greater Cincinnati that have suffered population and home price decline tout that they're on the upswing. In Westwood, long a cross between a bedroom community and town within the city, the facts finally back up the boast. The neighborhood’s comeback is a narrative I’ve heard before -- more than once. I even told it prematurely in a magazine article I wrote in 2004 after New York’s Guardian Angels started a patrol there. This time around, the evidence is stronger, starting with this: Over the last five years, the median sale price for a single-family home there has nearly doubled to $91,750 in 2017 to date, compared to $46,100 in 2013, according to Multiple Listing Service of Greater Cincinnati. 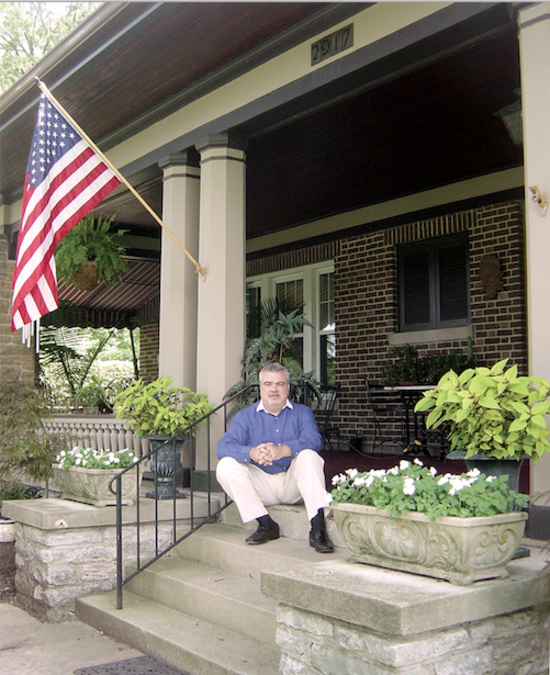 Larry Eiser, a 34-year resident and leader on three Westwood organizations, has watched more young couples migrate from the playgrounds of their 20s -- Over-the-Rhine, Northside and other more urban locations -- to Westwood’s Cape Cods, Craftsmen and Tudor-style homes and the lure of quiet back yards and quiet sidewalks. “They want a yard now. Maybe they have kids on the way, and Westwood has great, affordable housing stock,” he said. Westwood’s population dipped to just fewer than 30,000 residents in the 2010 census, down from 36,000 in 1990. The 2015 estimated population for the 45211 zip code, which encompasses most of Westwood as well as Cheviot and other parts of other neighborhoods, shows population growing there by 1,582 people. How did Westwood regain momentum? The answer is part of a larger narrative of homeowners and renters turning back to Greater Cincinnati’s core neighborhoods, places that were carefully designed to be pedestrian-friendly with a balance of homes built to last generations and business districts to which residents could walk or drive in minutes. Goolsby lives on Urwiler Avenue, within easy walking distance of Westwood Town Hall, the historic cultural center of the neighborhood, and a suddenly thriving few blocks of businesses surrounding it. Reginal Goolsby, a Westwood homeowner and real estate agent. He said a lot of his buyers are coming from Cincinnati’s Northside neighborhood because of rising rents and property values there, along with people who are priced out of Over-the-Rhine. “I’ve even had people come from Oakley,” he said. Customers are flocking to West Side Brewing on Harrison Avenue. Directly across Harrison Avenue from the town hall, the 80-year-old brick Ruehlmann Building with two floors of apartments above street-level retail, has leased all of its storefronts for the first time in decades. Its brand-new anchor is Muse Café , a coffee shop and full bar that features live music. John Bowen is a fan of the revitalized business district. Bowen, 31, is a Realtor working out of a Downtown office. His wife, Whitney Bowen, works at University of Cincinnati. They like that the commute is under 15 minutes to both. When the pair was ready to move to Cincinnati a year ago after Whitney landed her job at UC, they looked throughout the city, focusing closely on Pleasant Ridge. “We really didn’t know much about the west side,” he said. They were further convinced to give Westwood a try by news that the city was pumping $4 million into a park and other renovations around the town hall. The growth is most evident around Westwood Town Hall , the historic cultural center of the neighborhood. Many homes on blocks surrounding the town hall were built in the late 1800s before the village of Westwood was annexed by Cincinnati. 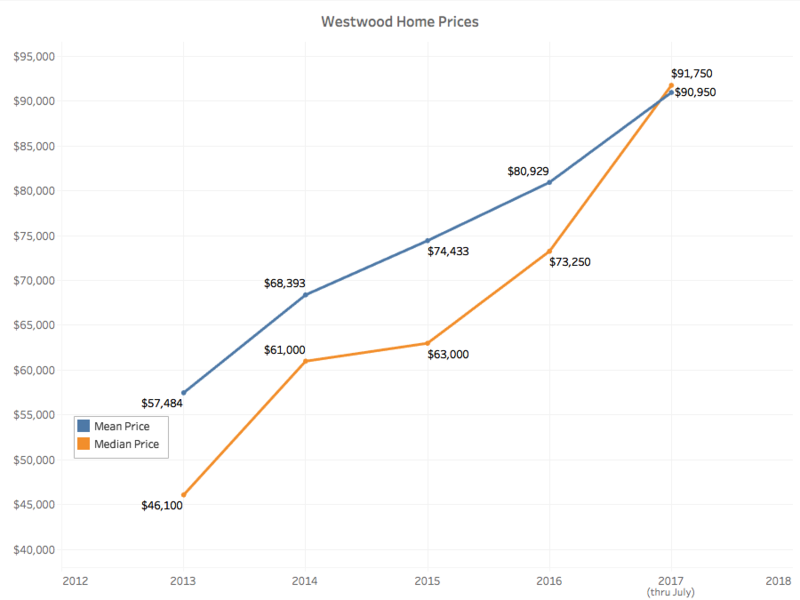 In the Town Hall vicinity bounded by Boudinot, Urwiler, McFarland and Montana/Penrose/Hope, home sale prices jumped from a median of $52,120 in 2013 to $108,414 in 2016, according to MLS. 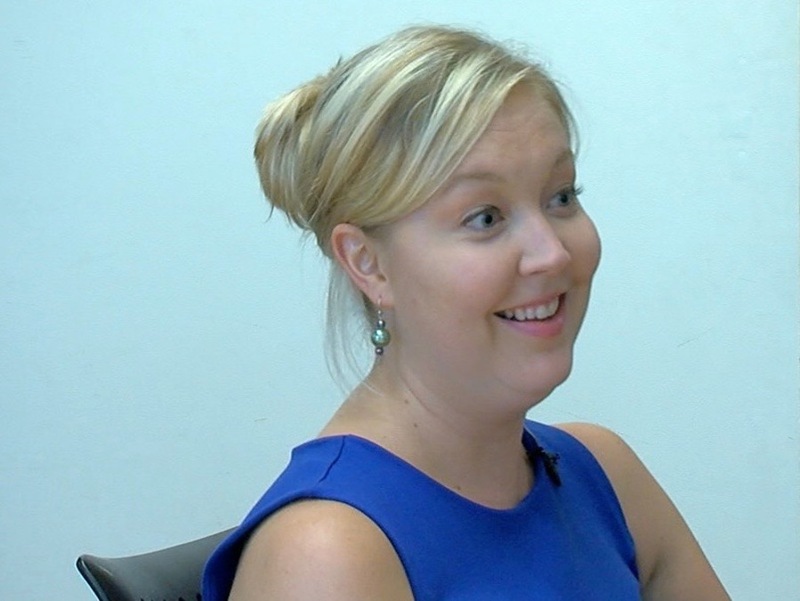 Samantha Brockfield , a fifth-generation Cincinnatian whose family originally settled in Spring Grove Village, has a passion for urban redevelopment. That inspired her to live in Over-the-Rhine in 2007-08 on the cusp of its renaissance before she moved to Dayton Street in West End. Her fiancé owns a home on Daytona Street in Westwood, and she jumped at the chance to join him there when he asked. Brockfield is director of business development and marketing at Glaserworks Downtown. She said Westwood is much closer to a Kroger supermarket, several pharmacies and other conveniences than West End offered. While she loved living in OTR and the West End, the move to Westwood felt right. The Westwood I grew up in was homogenous, at least in the circles that I lived in -- overwhelmingly white and Catholic. But the neighborhood today is bursting with real diversity, with about equal shares of black (14,469) and white (13,743) residents, and about 2,000 more residents of Asian, bi-racial and other ethnic descents, according to the 2010 census. Goolsby thinks the new brewery and café won’t have a big effect on housing prices for another 12-18 months. But he’s seeing homes sell quickly. In August, a two-family home on Junietta went on the market on a Thursday and was sold on Saturday for more than the list price to a young couple, both engineers, who moved from Clifton, he said. They have a backup offer for the house for two professionals from Northside, Goolsby said. John Bowen didn’t grow up in Cincinnati, so he was introduced as an outsider to the city’s ongoing east-west rivalry when he lived for a while in Pleasant Ridge before moving temporarily to Indianapolis. When he and his wife were thinking of buying their house in Westwood, he wasn’t completely joking when he asked east-side friends if they’d still want to hang out with him. But his passport to the east side remains valid, and he hasn’t looked back. “It’s blown us away in the last year because it’s not what we thought it was. I’m so glad we took that chance,” Bowen said.